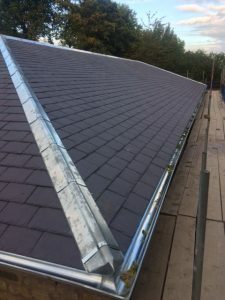 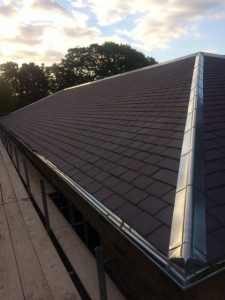 Jennings were appointed as sub-contractor to carry out the slating and zinc work. 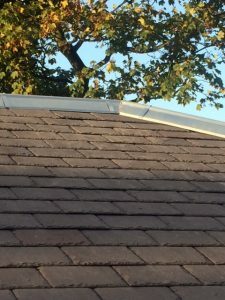 The roof consisted of approx. 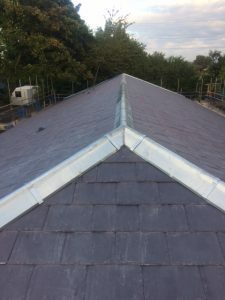 370 square metre of new Penrhyn slates with all new Zinc Ridge and Hip Cappings and new Zinc Gutters. 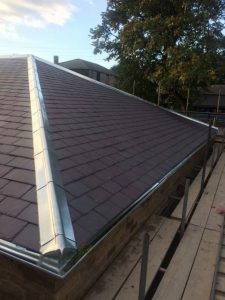 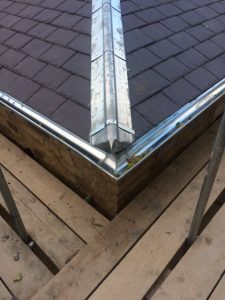 The work was carried out by one gang of slaters and a gang of specialist Zinc operatives in half the allocated programme time.